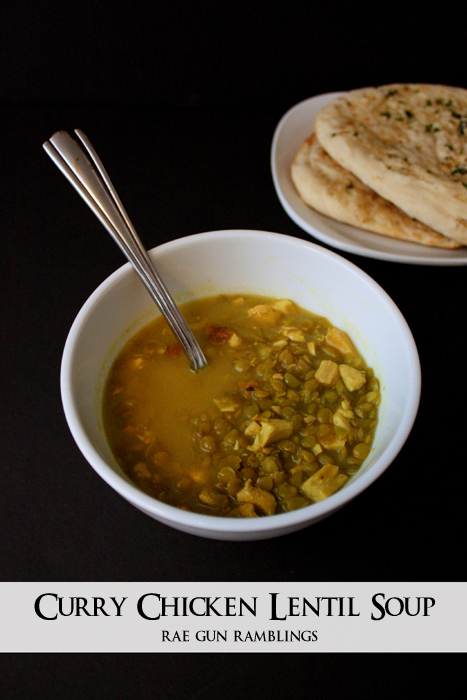 Whenever I have leftover chicken or turkey I make this coconut curry chicken lentil soup recipe. 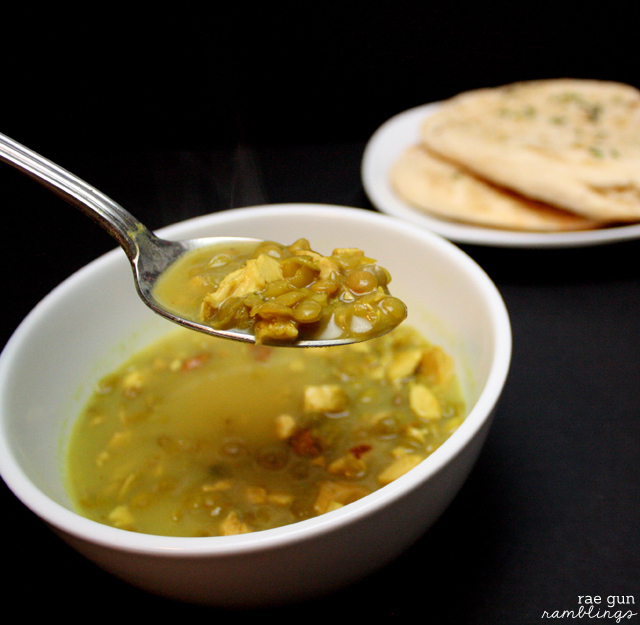 It’s so yummy, easy, and just a little different than your normal leftover type soup. 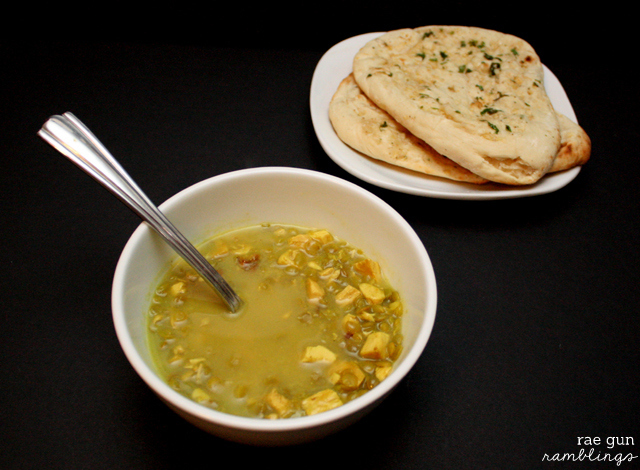 It has an Indian feel so it’s great to serve with naan bread which I’ve found at both Trader Joe’s and Whole Foods. It comes together fast enough making it a great weeknight meal. Even better, it freezes like a dream! I like to grab a rotisserie chicken and use part of it for this. Normally I make half a recipe (just for me and Daniel) but since I wanted extra in the freezer I doubled it. The recipe can be increased ore reduced easily. Just stick to the same proportions. 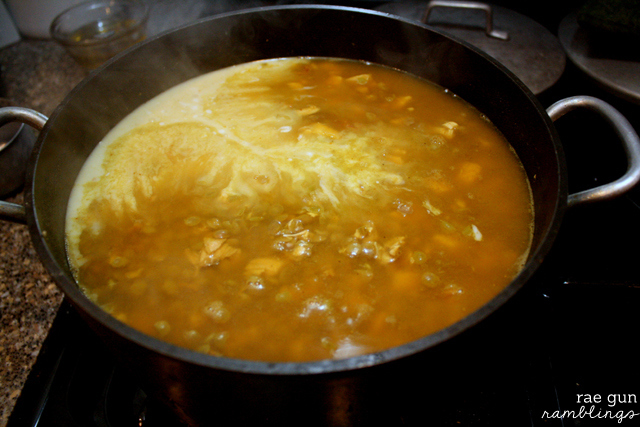 Boil lentils and chicken in 8 oz water until lentils are tender. Keep an eye on it so that the water doesn’t burn off. Add bouillon, curry powder, coconut milk, and additional water to the desired consistency. Add other seasonings to taste. Serve and enjoy! I am so excited to try this! I am a soup freak! Sounds delicious! I love finding new recipes for lentils! Thanks for sharing, looks yummy!! This looks so great! Not to mention that your photos are fabulous as well! Can’t wait to try it! Yum – this looks really good! Especially since I am sick with a cold – I want lots of soup! Oh my gosh my mouth is watering! That looks absolutely delicious, thanks for sharing!